The United Church of Christ has some explaining to do. In 2015, the denomination’s legislative body, called the General Synod, passed a resolution that called on church institutions to “to divest any direct or substantive indirect holdings in companies profiting from or complicit in human rights violations arising from the occupation of the Palestinian Territories by the state of Israel.” The text of the resolution listed — by name — five companies that the church’s money managers should stay away from: Caterpillar, Inc., Motorola Solutions, Hewlett-Packard Company, G4S, and Veolia Environmental. The same resolution called on the denomination’s money managers to boycott any goods produced by Israeli companies operating in the West Bank. An introduction to the resolution also highlighted a call from Palestinian Christians to stay away from Israeli banks that operated in the West Bank. Judging from the hoopla surrounding the resolution’s passage, it sure looked like the denomination’s investment bodies were going to divest themselves from the listed companies and stay away from any companies— banks included — that did business in the West Bank. That’s sure how it was played by the folks who argued in favor of the resolution on the floor of the General Synod. 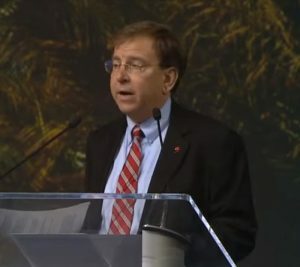 John Deckenbeck, Conference Minister of the Central Atlantic Conference of the United Church of Christ and a longtime anti-Israel activist, told delegates, “The resolution calls for divestment across the United Church of Christ of any holdings in a select list of companies that have been found to be benefiting from the occupation. We should not do business or earn pension or investment income from any company that does this.” It was rhetoric like this that made it sound like the UCC was making a sacrifice, putting its money where its mouth was, to demonstrate how seriously it took the issue. Divestment activists pulled out all the stops to get the resolution passed by General Synod. One particularly ugly moment during the deliberations came when Rev. 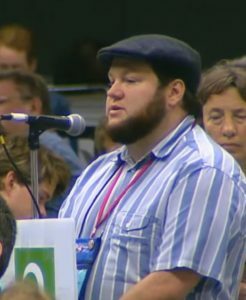 Ryan Dowell Baum, a UCC pastor from Iowa, told the audience that he supported the passage of the resolution despite coming from “a family of Holocaust survivors and non-survivors.” (“Non-survivors”? That’s a weird phrase to describe Jews who were murdered by the Nazis.) Baum said he shared the concerns of delegates who expressed concerns over the “perceived one-sidedness” of the resolution, but ultimately, he had to support it. Exactly what “action” is Thomas talking about? Four years later, the denomination’s $3.2 billion pension fund (UCC Pension Boards) owns stock in Caterpillar, Motorola and HP, a corporate spin-off from Hewlett Packard. Moreover, United Church Funds — which manages approximately $800 million in assets — owns stock in HP and in two banks that operate in the West Bank, Haopolim and Leumi. It’s all right there in the most recently available schedules of investments posted online by the two institutions. You’d think that by now — four calendar years after the church’s General Synod voted to divest — the denomination’s money managers would have reconfigured their investments to avoid having anything to do with the proscribed stocks, especially in light of the moralistic, puritanical and urgent tone that church leaders used in selling and promoting the cause of anti-Israel divestment. Boosters of Israel-related divestment sold it as a binary issue, and yet the church is on the “yes” side of owning stocks anti-Israel activists said they shouldn’t. Despite all the braggadocio from UCC leaders about not profiting from Israeli companies that do business in the West Bank, the denomination’s pension and endowment funds are still doing exactly that. There was a dirty little secret that high-ranking church officials, activists and money managers in the UCC knew all along. There was simply no way the denomination’s more than $4 billion in assets could be managed without including holdings in the proscribed companies. Angelica Harter, a leader of the United Church of Christ Palestine Israel Network, gave a hint that there were some real obstacles to implementing the General Synod’s decision at the post-vote press conference. “We’ve been in conversation with the United Church Funds and Pension Boards as to how it [the resolution] would be implemented and we’ll be continuing to do that,” she said. One obstacle is federal law regarding the management of pension funds. Under the statutes of the Employment Retirement Income Security Act, or ERISA for short, which is enforced by the U.S. Department of Labor, pension fund managers must work “solely in the interest of plan participants and their beneficiaries, with the exclusive purpose of providing benefits to them.” In other words, pension fund managers cannot base their investment decisions on politics, but only on risk and return. To be sure, United Church of Christ’s pension fund managers can hire outside consultants to tell them that investing in companies that do business in the West Bank exposes them to financial risk because of the controversy surrounding the companies in question, but that opens a can of worms. If the folks at Pension Boards hire a consultant who conveniently tells fund managers that they shouldn’t hold any funds in companies such as Motorola, Hewlett-Packard, HP, or Caterpillar because of their controversial connections to the West Bank, then what about the risk of controversy surrounding Apple and Alphabet (which owns Google)? These two companies do business in China, which is currently running concentration camps for Muslims, demolishing Christian churches, and using the internet to spy on its citizens by linking search queries to people’s individual phone numbers. Does anyone honestly think that Apple and Alphabet — two companies that the UCC (and every other mainline church) have invested heavily in — are not somehow complicit in China’s human rights abuses? Of course not. Maybe mainline human rights activists will get around to dealing with human rights abuses in China. (Don’t bet on it.) But if they do, will the ensuing controversy over the relationship between these companies and the Chinese government represent a financial risk? Would church money managers really be willing to walk away from some of the most lucrative investments of the modern era? Probably not. What about the UCC’s non-pension funds? These funds, managed by UC Funds, are not subject to ERISA, but they are subject to another regulatory structure called The Uniform Prudent Management of Institutional Funds Act, (UPMIFA). This is not a federal law, but a law enacted by multiple states in the United States so as to allow for uniformity in state regulation of a particular segment of the economy. UPMIFA, which has been approved by at least 49 states including New York (where the UCC’s fund managers operate), gives non-profit institutions greater leeway in determining what stocks it can and cannot hold for moral and ethical reasons. Nevertheless, both UCC Pension Boards and UC Funds are constrained by another reality: much of their money is invested in mutual funds operated by outside money managers who are bound by the terms of the prospectuses they use to solicit investments. The UCC’s General Synod can pass all the resolutions it wants and the people who manage UCC’s investments can mouth all the pieties they want, but the fact is they have no control over how outside investment firms manage their index funds. Both PBUCC and United Church Funds do have direct control over the stocks and bonds they own outright, or “directly.” The schedule of investments for PBUCC for Sept. 30, 2018 indicates that out of its $3.3 billion in holdings, it owns over $1 billion in common stocks. And the schedule of investments for UC Funds indicates that it owns over $450 million in common stocks out of more than $800 million. This is where things get interesting, particularly with the denomination’s pension funds. The Sept. 30 , 2019 schedule of investments for the UCC’s Pension Boards includes a number of proscribed companies in its inventory of common stock over which it has direct control. Included in this list are more than 15,000 shares of Caterpillar, more than 33,000 shares of Hewlett-Packard, almost 29,000 shares of HP, and more than 4,000 shares of Motorola. That still leaves us with the holdings of the United Church Funds. According to the schedule of investments for September 30, 2018, UC Funds owns 32,000 common shares of HP, a spin-off from Hewlett-Packard, which was listed in the resolution as a proscribed stock. Like its corporate ancestor, HP is blacklisted by the BDS movement. The names of a number of Israeli banks are also listed in the schedule of investments, but these are included in the assets of mutual or mixed funds and are not held directly by the UC Funds. That leaves us with a niggling question. Why does UC Funds own any shares of HP? Isn’t that a proscribed stock? The website of UC Funds indicates that it can ignore General Synod resolutions if it wants to, declaring that “other settings of the Church are allowed to hold differing views and practices on all non-constitutional matters.” UC Funds has also declared that it “has recently aligned itself” with the divestment vote of 2015. “Aligned” itself? That sounds a lot like the Pension Board’s promise to “live in substantial covenant with” the General Synod’s pronouncements. Did the divestment resolution passed by the General Synod in 2015 mean anything? Did it have any teeth at all? Or was it for all just show? Things get even weirder when we look at the stock holdings of the Northern Trust Global Sustainability Index Fund. In 2016, Walters pitched this fund to investors in a Youtube video posted online on June 10, 2016. There’s just one irony. The fund PBUCC is pitching to its pension fund members is currently invested in companies proscribed by the 2015 General Synod vote regarding Israel. According to the fund’s schedule of investments for September 30, 2018 (available here), the fund owns stock in Caterpillar, Hewlett-Packard, HP, Motorola and three Israeli banks: Bank Hapaolim, Bank Leumi, and Mizrahi Tefahot. The holdings aren’t huge, but the fact is, UCC’s Pension Boards told retirees that if they wanted to be socially responsible investors, they should invest in a fund that had seven stocks in its portfolio that were proscribed by the General Synod’s 2015 vote. Talk about being “in covenant” with the UCC’s prophetic voice! In an effort to confirm that the index fund promoted by PBUCC was the same fund listed on Northern Trust’s website, CAMERA contacted Walters and asked him if it was the same fund. Walters refused to answer. The upshot is that UCC money managers are still invested in proscribed companies four years after their denomination passed a resolution calling on them to get out of these stocks. No one should be surprised because even if the denomination’s money managers had to do what General Synod told them to do (and they don’t), the body gave them another loophole — indirect holdings. The word “direct” would apply to equities held directly by UCC money managers and “indirect” refers to funds managed by outside money managers. As we see above, as of Sept. 30, 2018, the United Church of Christ’s Pension Boards still has a number of stocks that were proscribed by the General Synod vote in 2015, but that this vote had no authority over what UCC’s pension fund managers would do. That means the denomination’s money managers can still hold stock through index funds they do not directly manage. “The resolution specifically excluded comingled funds, termed ‘substantial indirect’ investments,” explained Walters in a Jan. 3, 2019 email. The modifier “substantial” suggests there is an upper limit to how much prohibited stock an index fund can have before UCC money managers are forced to get out, but if the denomination has issued a clarification of what “substantial” means in numerical terms, it hasn’t done a very good job of publicizing it. 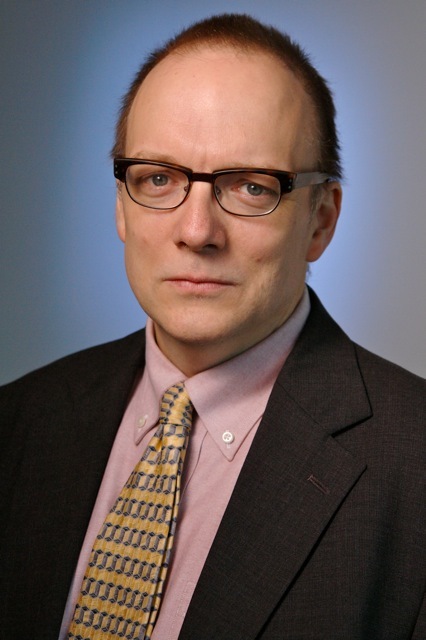 And given the fact that mutual funds are managed with an eye toward diversity and not putting all of one’s eggs in one basket, it’s entirely possible that any limits on the ownership of problem stocks that are imposed on an outside fund would be well above what the fund would ever purchase. In other words, the bar could be set high enough to render the issue moot. A cursory review of the websites of both the PBUCC and the United Church Funds indicate there hasn’t been any announcement from UCC’s money managers that they have divested from the companies listed in the 2015 resolution. The General Synod passed the resolution, everyone cheered, but nobody in the denomination has said very much about its implementation. The denomination held a press conference when its General Synod voted to divest, but when was the press conference that announced that the UCC’s money managers had actually divested? As stated above, when it came to fossil fuels, PBUCC reported that it has reduced the carbon footprint of its holdings by 60 percent. But aside from touting its investment in Siraj, a Palestinian investment fund that by the way, does a lot of business with Israeli companies that build Jewish homes in the West Bank (which would seem to contradict the purpose of the 2015 divestment resolution), PBUCC hasn’t provided much information about its compliance with the 2015 vote. In order to determine the extent to which UCC funds have complied with the General Synod’s 2015 resolution beyond a binary, yes/no assessment, the public would need to know how much stock it held before and after the vote. Maybe the UCC investment funds have a lot fewer shares in the proscribed stocks than they did before the divestment vote. That would count in the denomination’s favor. But UCC officials aren’t talking. In retrospect, it sure looks like the denomination’s staffers wanted to squeeze as much publicity as possible about the 2015 divestment resolution when it was approved, but then wanted everyone to forget about it afterwards. The denomination made a great show of the resolution’s passage. But compliance? So there you have it. The denomination’s money managers in New York and the church leaders in Cleveland have tried to walk a fine line between reminding people that the resolution was not enforceable and keeping its unenforceability on the down low, because if everyone knew, it would kind of undermine the moral impact of the resolution’s passage.